Support undergraduate students with an opportunity to explore their interest in medical research. The program is funded through the generous contributions of our donors and partners. The Faculty of Medicine Summer Student Research Program (FoM SSRP) provides undergraduate students with an opportunity to explore their interest in medical research by undertaking a project during the summer, under the supervision of a principal investigator who holds an appointment in the Faculty of Medicine. MD (years 1 and 3) and non-MD undergraduate students registered at UBC. Dentistry, nursing, and non-UBC students are not eligible. Faculty appointed in the UBC Faculty of Medicine (includes affiliate appointments) at the rank of Instructor or higher (includes clinical) are eligible. Deadline: February 15, 2019 at 4:00 pm PST The competition for summer 2019 is now closed. The next competition (for summer 2020) will open in December 2019. Katrina Genuis, Island Medical Program Class of 2015, worked at the BC Cancer Agency Deeley Research Centre in Victoria in the summer of 2012. She discusses her project and what she learned from the experience. Can you describe your project? Ovarian cancer is the most lethal gynaecological cancer. After initial chemotherapy treatment serous ovarian cancer, the most deadly ovarian cancer subtype, has a 5-year survival rate as low as 20- 30% due to persistent cancer recurrence. My summer project at the BC Cancer Agency’s Deeley Research Center (DRC) in Victoria focused on the body’s immune response to serous ovarian cancer. Previous research at the DRC has demonstrated that serous ovarian cancer patients with tumour-infiltrating Killer T white blood cells have higher survival rates. In fact, researchers at the Centre discovered that by transferring a targeted Killer T Cells line into mice, ovarian cancer tumours completely regressed within 10 days. Despite these intriguing results, much is still unknown about the action of Killer T cells within tumours. Are Killer T cells actively proliferating in ovarian tumor tissue? Where, and to what extent, are the Killer T cells proliferating? Is Killer T cell proliferation within serous ovarian cancer related to patient survival? Why were you interested in working on this project? One of the central pillars of being a physician is practicing evidence-based medicine. This evidence basis stems from the ever-expanding world of medical research, an area which I had very little knowledge of prior to this summer. I believe that it is extremely important for physicians to learn and be confident about the prognosis they make and treatments they prescribe. How else to learn where the science comes from, than to directly immerse myself in research? This project was a perfect fit for me, allowing me to both experience the world of research and to contribute to an area of personal and academic interest- cancer research. What is one important thing that you learned? How will this research experience help you in your medical studies in the future? Being a part of a research community has taught me so much about the importance of a cohesive and supportive team in the process of scientific discovery. Whether creatively developing new ideas at a small meeting with just a few researchers or discussing recent publications alongside the entire research team at lunchtime presentations, I have been struck by the way that a diverse team is so much more effective than just a few individuals. This is incredibly relevant to my future in medicine, a field where I will be learning from and working together with medical and research colleagues on a daily basis. I have also learned a significant amount regarding research statistics and methods of ensuring that data and results are valid. When I now read about new treatment guidelines or medical discoveries, I have a much better idea of where this knowledge comes from and how to critically read the medical papers which publish these new discoveries. I am extraordinarily grateful to my supervisor, Dr. Brad Nelson, and the entire DRC for their teaching and guidance this summer. I have been incredibly encouraged in spending my summer with so many brilliant and motivated researchers who devote their time to studying the workings of the human body. I will continue working at DRC on occasion throughout the school year and plan to write up the results from my research for publication in the coming year! To answer these questions, I first worked in the lab to perform colored antibody stains on microscope slides containing hundred of ovarian tumour tissue samples. This cell staining allowed me to visualize, count, and analyze proliferating Killer T cells in over 200 serous ovarian cancer tumour cores. Yes! Although cancer is often considered an immuno-suppressive environment, actively proliferating Killer T cells are present inside the majority of serous ovarian tumors. In varying ovarian tumour samples, anywhere from 0% to approximately 80% of Killer T cells may be proliferating in either the tissue surrounding the tumor or directly within the tumor. We still are working on analyzing the data related to survival, but initially there does not look to be a statistically significant relationship between the percentage of Killer T cell proliferation and patient survival. This analysis is still in progress, so keep your eyes out for the results in the future! In the summer of 2011, Kulveer Parhar, Vancouver Fraser Medical Program Class of 2014, visited Victoria to participate in a SSRP research project supervised by Dr. Paul Zehr. Please briefly describe SSRP project you were involved in. KP: I worked along PhD candidate Taryn Klarner on a pilot project investigating the efficacy of an arm and leg cycling rehabilitation intervention on post-stroke locomotion and clinical outcomes. The study involved three male participants with low to moderate post-stroke function. 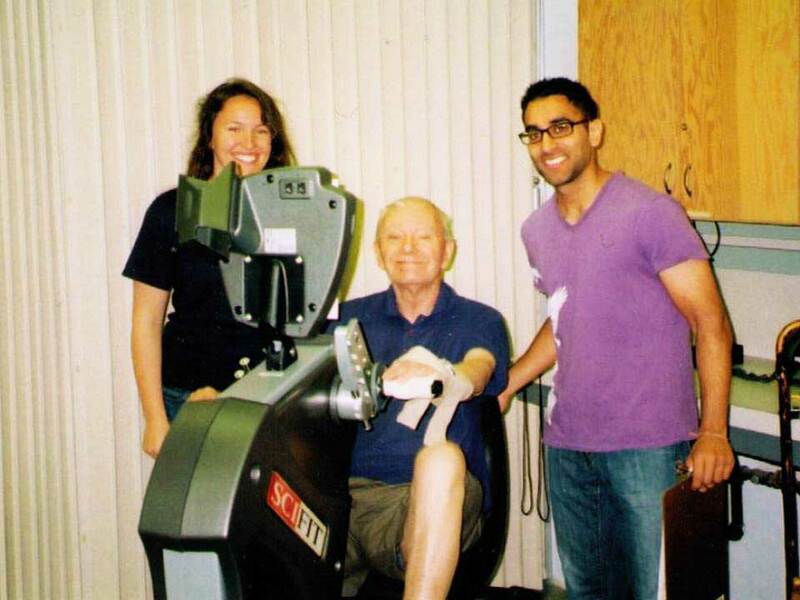 The six week intervention involved participants cycling on an arm and leg ergometer for thirty minutes, three times a week. At five minute intervals throughout the thirty minutes, heart rate, rating of perceived exertion and cadence were recorded. In addition, pre- and post-intervention measurements of stretch reflexes, spasticity, muscle activity, range of motion, and functional walking outcomes were recorded. What, specifically, about the research topic interested you? KP: My interests in neuroscience, musculoskeletal dynamics, and rehabilitation in neurotrauma patients attracted me to the research in Dr. Zehr’s lab. My undergraduate education in kinesiology was also applicable to this project. Dr. Zehr and his lab are working on some fascinating projects that have clinical applications and this was definitely an appealing factor. What did you learn both (a) academically and (b) clinically? PhD Student, Taryn Klarner with a research patient. KP: As this was a pilot project, I learned the steps involved in developing an idea into a research project. I also learned about the pathophysiology of stroke and the associated clinical consequences. 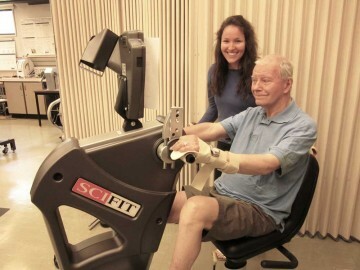 Furthermore, I expanded my knowledge on current rehabilitation techniques for stroke patients. Also important, I gained exposure to working with stroke patients and learned some of the challenges involved with working with this population group. The skills I gained with prove useful in my future clinical practice. What do you feel participating in this project will have contributed to your medical education? KP: I believe gaining exposure to a variety of areas of medicine is an important aspect of one’s medical education. Rehabilitation methods are not well covered within our curriculum so this SSRP provided me with the opportunity to pursue an area of study that I am interested in. Moreover, working on this project showed me the strong interconnect between research and clinical practice. My future as a physician will be based on evidence based medicine and I have a greater appreciation for what that means after working in Dr. Zehr’s lab. Dr. Paul Zehr is a professor in the University of Victoria’s Division of Medical Sciences. He supervised the project Kulveer participated in. Please briefly describe the SSRP project you led. PZ: The project Kulveer participated in under the umbrella “Improving the strength and functional ability in the more affected limb by training the less affected limb after stroke” includes two components: a) a strength training piece where targeted resistance training of the less affected limb is used to strengthen the untrained, more affected limb (with my PhD student Trevor Barss); and, b) a locomotor retraining intervention using arm and leg cycling (involving both more affected and less affected arms and legs) exercise to improve walking ability (with my PhD student Taryn Klarner). 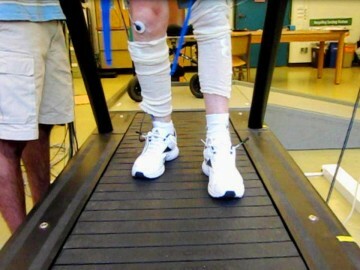 A research patient walks on the treadmill as part of the study. How were the students involved in the research? PZ: Kulveer assisted with data collection in stroke participants, helped supervise the thrice-weekly training sessions, and conducted initial data analysis. How do you think participation in projects like this enhance the educational experience of UBC medical students? PZ: I think it is very important for MED students to gain direct experience with research work in clinical populations. It gives them a different viewpoint than they might have seeing the same population in clinic. For example, in this project Kulveer got to see participants with stroke achieving improvements in ability through training—he got to see their potential and they were active agents. In a strictly non-research clinical setting that group might be seen as patients with problems that need solving and perceived as more passive agents. How do you feel you benefit by working with students on research projects? PZ: I look at this as a bit of pay-it-forward. I think exposing medical trainees to our research environment expands their viewpoints that they can bring to their own clinical practice. This is particularly the case for research in clinical populations. It’s also a benefit for the mixture of trainees in my own laboratory who all come from different backgrounds and have different strengths. Allison Nakanishi was born and raised in Vancouver and she attended University in an urban center. She saw going to a rural setting like Fort St. James as real eye-opener, stating “…it’s really easy to talk about the problems with accessibility and the lack of physicians and resources that are in rural communities, but you really have to go there and experience it for it to really hit home.” Allison was excited about this project because of its qualitative nature, “I think when we are in medical school we are really bombarded with …quantitative, lab-based research…this seemed like a really different and unique opportunity both for me and my life experience”. Allison’s biggest take away from the project was “…how to provide culturally safe care.” She emphasizes the importance of “…learning how to relate across difference and doing so in a way that allows the people who I am looking after to feel safe and feel comfortable, even though there is so much cultural difference between us.” She feels these are skills she will bring to her patients in her future career as a physician. The Faculty of Medicine Summer Student Research Program allows students to gain valuable research experience to help them prepare for successful careers in the field of health care. In the United States, 60,000 women are diagnosed with endometrial cancer each year and 11,000 will die from their disease. Most patients can be treated by surgery alone and discharged to the care of their community physicians, however; a minority of women have cancer that has spread beyond the uterus, or recurrent cancer that comes back aggressively and requires extensive treatment and surveillance. The survival rate for patients with recurrent endometrial cancer is particularly poor and there is currently no way to reliably predict the probability of recurrence, and thus mortality, in endometrial cancer patients (i.e. high-risk versus low-risk). This has led to both under- and over-treatment of these patients. In the summer of 2016, FoM Summer Student Research Program (FoM SSRP) student Jamie Magrill had the opportunity to work with Dr. Jessica McAlpine (Assistant Professor, Department of Obstetrics and Gynecology) at BC’s Ovarian Cancer Research Program. Their project sought to validate a new assay that predicts the risk levels of endometrial cancer patients. In preliminary studies, this assay, known as ProMisE (Proactive Molecular Risk Classifier for Endometrial Cancer), was able to consistently and reliably sort patients into one of four risk groups ranging from low to high risk of endometrial cancer recurrence based on DNA mutation and protein analysis. Building upon previous data from samples in Vancouver, the intention was to validate ProMisE in an independent cohort of 500 patients from Germany. Although this project is still underway, Jamie was able to contribute to its advancement through validating ProMisE’s ability to accurately predict risk level. Specifically his contributions included extracting, analyzing, and sequencing DNA from tumor samples, as well as staining for selected molecular targets via immunohistochemistry. 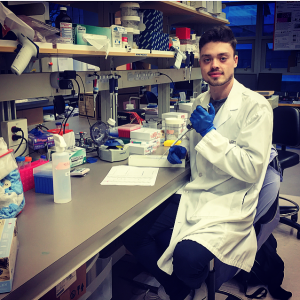 Jamie’s previous experience in cancer research and interest in genetics sparked his interest in joining this project. Through his FoM SSRP, he hoped to learn new lab techniques and work on a research project where he would be able to see a demonstrable impact on patient care. Working to validate the ProMisE assay allowed him to realize both of these goals. However, what Jamie was most surprised to gain from this opportunity was the experience of connecting with other notable researchers involved with the project, including Dr. Friedrich Kommoss, a visiting professor from Germany. Meeting with and working alongside these dedicated researchers strengthened his interest in performing research and confirmed his desire to pursue a future career in a medicine-related field. 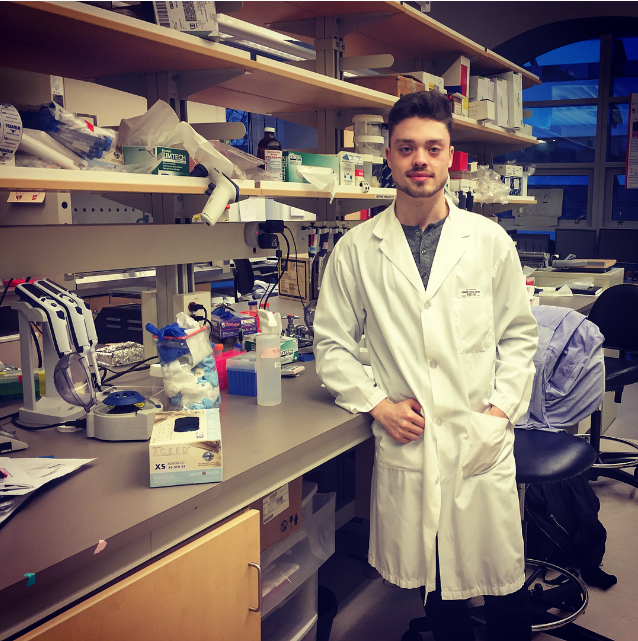 Jamie’s FoM SSRP experience also opened up further opportunities for him, including publishing a first-author paper and presenting his project at the 2017 U.S. and Canadian Academy of Pathology’s General Meeting. 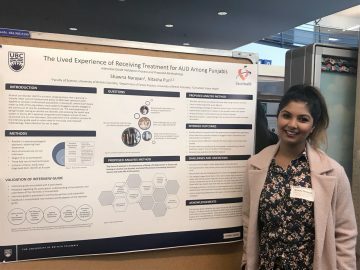 Shawna Narayan, a third-year science undergraduate student, received a Faculty of Medicine Summer Student Research Program (FoM SSRP) award in the summer of 2017 to work with Dr. Nitasha Puri (physician with Fraser Health and clinical instructor with UBC’s Department of Family Practice) at the Roshni Clinic in Surrey. The Roshni Clinic is specifically designed to provide substance use and addictions services for the South Asian Community. Their project, The Lived Experience of Receiving Treatment for Alcohol Use Disorder Among Punjabis in Surrey, BC: A Qualitative Study, aims to understand the lived experience of Punjabi people with alcohol use disorder who are accessing alcohol treatment services. 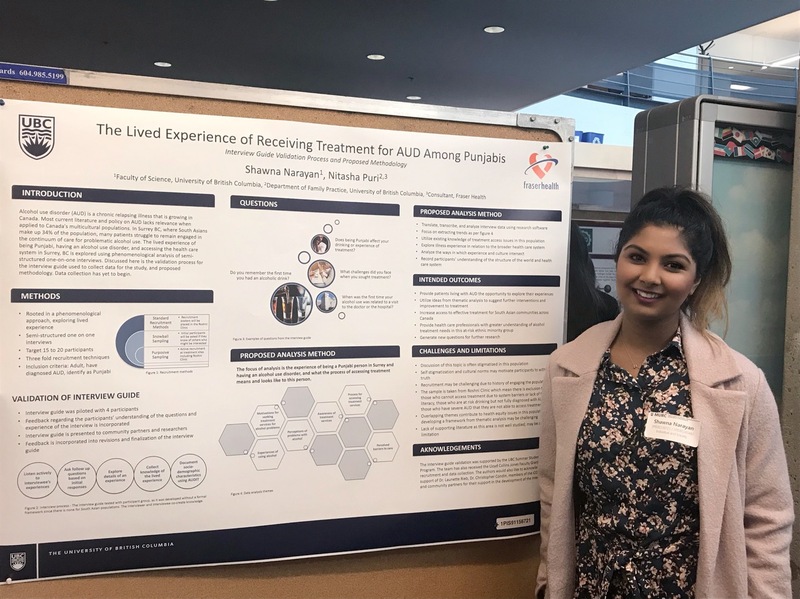 Shawna Narayan attended the UBC Multidisciplinary Undergraduate Research Conference (MURC) to present her FoM SSRP project. Based on the knowledge of these participant experiences, the project hopes to define a set of population-specific, patient-centered needs for treatment services. Alcohol use disorder (AUD) is a significant problem that can result in liver disease, heart disease, violence, and mental health issues. There is limited information in the literature on multicultural populations, especially with regards to alcohol use disorder. In Surrey BC, where South Asians make up 34% of the population, clinical cases from the area demonstrate greater morbidity from alcohol use among South Asian people as compared to other ethnic communities, and thus culturally specific interventions and policies around alcohol use may have great impact. Their study focuses on the participant’s subjective experience using a phenomenological analysis of semi-structured, one-on-one interviews. Specifically, it explores the lived experience of being Punjabi, having an alcohol use disorder, and accessing the health care system in Surrey BC. Being involved in this research allowed the participants living with AUD the opportunity to explore their own experience of living with, and treating, their illness. The team hopes that the findings will benefit the South Asian community in Surrey and across Canada, eventually increasing access to effective treatment,, and providing health care professionals with greater understanding of alcohol treatment needs for this at-risk ethnic minority group. During the project, Shawna developed her communication skills by interviewing patients using phenomenological methods, i.e. ones that focus on the participant’s subjective experience. She also played a key role in establishing new partnerships and collaborations with community organizations for further support with this study. 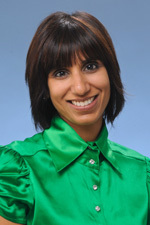 Shawna would like to thank the UBC Faculty of Medicine for their time, support, and funding, Fraser Health Authority – Department of Evaluation and Research Services for providing funding, Dr. Nitasha Puri for her exemplary mentorship, and the patients and participants who made this study possible. From the connections she has made through her FoM SSRP experience, Shawna continues to work with Dr. Nitasha Puri on similar projects aimed at positively impacting the communities around her. Currently, 3.4 million Canadians have diabetes. This number is expected to increase by 44% within the next 10 years, raising the number of Canadian diabetic patients to 5 million. Approximately 10% of diabetes cases are type 1 diabetes, for which patients require multiple daily insulin injections. Insulin treatment helps manage type 1 diabetes but this therapy is not perfect as it leads to daily fluctuations in blood glucose levels. Current research by Dr. Timothy Kieffer and PhD student Ursula Neumann aims to create a solution to glucose fluctuations through investigating the relationship between glucagon suppression and leptin. In the summer of 2015, Faculty of Medicine Summer Student Research Program participant Jessica Ho was given the opportunity to participate in this research with Dr. Kieffer and Ursula. In normal, non-diabetic patients, the hormones insulin and glucagon work together to maintain the body’s blood glucose levels. Insulin is released when blood glucose levels are high. It works by stimulating uptake of glucose into the body’s cells. Glucagon, on the other hand, is released when blood glucose is low. It acts on the liver to release stored glucose from its cells into the blood. 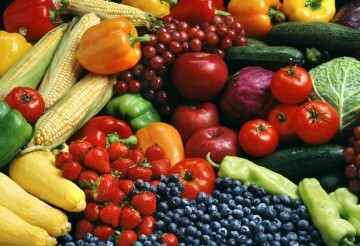 However, in diabetic patients, the body is not able to produce enough insulin to maintain normal blood glucose levels. Interestingly, recent research has found that giving leptin to type 1 diabetic mice can normalize glucose levels, suggesting a potential mechanism to control blood glucose levels without insulin. Despite years of research into leptin therapy in type 1 diabetes, its mechanism of action is still unclear. As part of this FoM SSRP project, Dr. Kieffer and Jessica set out to test the hypothesis that glucagon suppression is required for leptin therapy to be beneficial in controlling blood glucose levels. Their results show that leptin treatment is able to improve both glucose and fat metabolism, while simply muting glucagon receptors can only improve glucose metabolism. This suggests that glucagon suppression by leptin can only account for some but not all of the metabolic benefits of leptin. 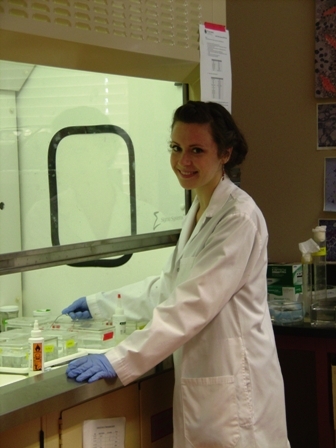 Jessica first became interested in research as a high school student. 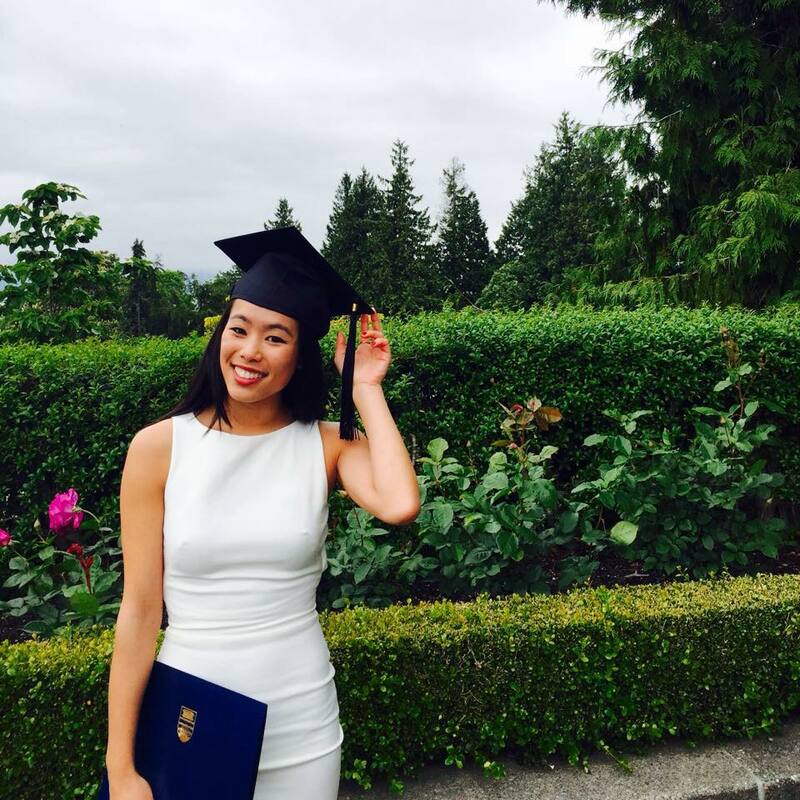 She began pursuing her research career by working in a yeast epigenetics lab at the UBC Centre for Molecular Medicine and Therapeutics. Jessica held the central role in this project with Dr. Kieffer, and was the primary person performing the experimental work. During this research opportunity, Jessica was involved in blood glucose monitoring and blood collection, assisting with pump implantation, and performing oral glucose tolerance tests and tissue collection. This experience has taught Jessica many skills in the process of conducting effective research, and has inspired Jessica to pursue the study of medicine and research into the causes of human diseases. Jessica presented these findings at the 2015 Vancouver Diabetes Research Day, and is currently furthering her research career with an internship at the World Health Organization in Switzerland. Luke Hughson, Northern Medical Program Class of 2016, spent the summer researching gaps in cancer care experienced in isolated Aboriginal communities, such as Haida Gwaii. Students participating in the Faculty of Medicine’s Summer Student Research Program gain valuable real-world experiences that inspire them to pursue careers in research, become life-long learners, and develop the skills needed to respond to the fast-moving world of health care. 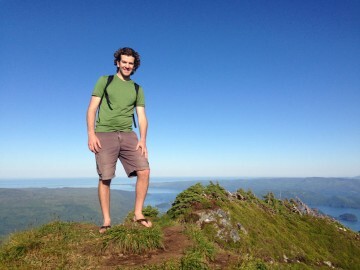 In the summer of 2013, SSRP participant Luke Hughson, Northern Medical Program Class of 2016, and his supervisor, Dr. Robert Olson, Assistant Professor of Surgery, undertook a comprehensive retrospective chart review of all cancer cases diagnosed in the remote BC community of Haida Gwaii. This work is part of an ongoing project that aims to provide insight into the bottlenecks and gaps in care experienced in isolated Aboriginal communities, where coordinating cancer diagnosis and care is a major challenge. Delays in diagnosis, treatment, survivorship, and palliation are common in isolated communities, potentially leading to inferior outcomes for Aboriginal Canadians. Hughson’s participation in this project gave him the opportunity to work with a collaborative, multi-disciplinary team of health experts and community leaders in Haida Gwaii and Prince George. He helped to create and annotate an electronic health record database including all cancer diagnoses on Haida Gwaii since 1969, abstracting key pieces of information from patient charts and critically analyzing the data under the guidance of his supervisors in both Prince George and Haida Gwaii. “This was a valuable opportunity for me to learn how patients and practitioners approach cancer care in rural northern communities,” says Hughson. When the project is complete, the findings will be used to advocate for measures to address these issues in the study communities and to provide insight into issues that may be present in other Aboriginal and remote communities. 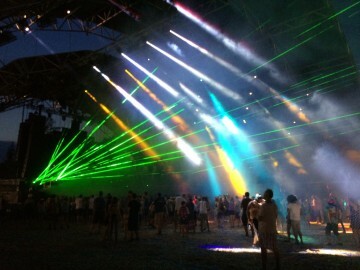 The explosive rise in the number of people attending music festivals in recent years has also brought with it a drastic spike in drug misuse and overdoses. In 2014, thirteen deaths were linked to illicit drug use during music festivals. Many festivals recognize the importance and value of having expanded medical services (i.e. services in addition to first aid such as harm reduction), but there is currently no legal requirement to have expanded medical services present at the festival. The AIDS Network Kootenay Outreach & Support Society (ANKORS), and onsite harm reduction team began delivering harm reduction services such as drug testing, outreach, and sexual health services to music festivals in 2001. Their efforts were humble at first, but as the ticket sales rose, so too did the popularity of the services. The availability of such services raises the question of whether the presence of the on-site medical services provides a false sense of security for participants who choose to engage in high risk behaviours. In the summer of 2015, Faculty of Medicine Summer Student Research Program participant and medical student Sydney White joined Dr. Brendan Munn to investigate whether the presence of medical services influenced the behaviour of festival attendees. In particular, they studied the participants of the Shambhala Music Festival. The Shambhala Music Festival is an annual electronic music festival held during the first week of August at the Salmo River Ranch near Nelson, British Columbia. 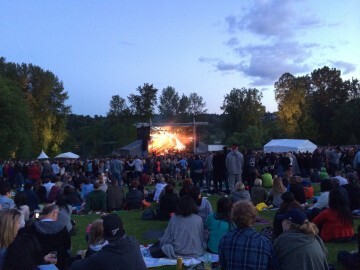 The festival lasts five days and four nights, and offers a mix of music and art in nature. 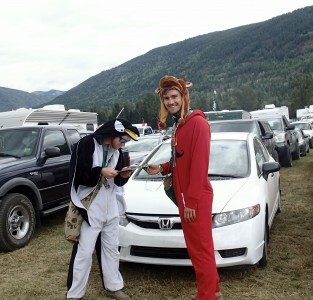 Having begun in 1998, the Shambhala Music Festival has grown to become one of the largest and longest running, electronic music events in Canada. Over 15,000 people attended the festival in 2014, and no fatalities were reported. Many suspect this may be due to the rising efforts of the medical team, yet it remains unclear if the presence of the on-site medical services provides a false sense of security for those who choose to engage in high-risk behaviours such as illicit drug use. Dr. Munn and Sydney hypothesize that the presence of on-site medical services does not facilitate recreational drug use. To test this hypothesis, a brief 6-question survey was administered to 587 consenting participants at the entrance to the 2015 festival over a 48-hour period. Specifically, this survey aimed to understand participants’ intentions to use illicit drugs, and its relation to onsite medical services and provide an initial dataset to understand the importance placed on medical services by festival goers. The results of this project are currently being analyzed with help from the Southern Medical Program biostatician. A previous demographic data report in 2013 by ANKORS reported that the average participant is 25 years old, has completed an undergraduate degree, and resides within British Columbia. Preliminary results from this study indicate that the demographic data of 2015 festival participants (age, education, and place of residence) are consistent with demographic data obtained in the ANKORS 2013 demographic report, while analysis of the correlation between high-risk behaviours and harm reduction services is still ongoing. 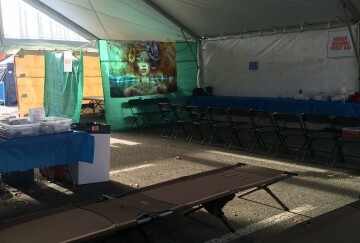 For the past four years, Sydney has volunteered at the Shambhala Music Festival medical tent. Year after year, Sydney has witnessed the tremendous benefit of increased organization and planning around medical services. In the past year, Sydney helped in the planning of pre-hospital care, as well as medical command. Sydney currently works part-time as a paramedic on the remote Roger’s Pass section of the Trans-Canada Highway, allowing her to experience the reality of rural pre-hospital care. 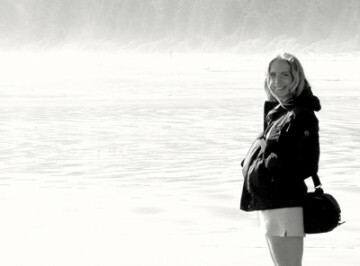 This has inspired her to pursue a rural family emergency medicine certificate and the goal of returning to a rural community in the BC interior to serve as a family and emergency physician. Jane McLeod, Vancouver Fraser Medical Program Class of 2017, discusses her Summer Student Research Program project conducted at the B.C. Cancer Agency. Can you describe the research project you were involved with last summer? JM: I worked with Dr. Ingledew at the BC Cancer Agency, Fraser Valley Centre (Surrey) to look at the quality of web-based resources for patients with liver cancers and to explore the resources used by these patients. Over the past six years, Dr. Ingledew and her research group at the UBC Center for Health Education Scholarship have explored the quality of online resources and the patterns of Internet use for patients with a range of cancers including melanoma, breast, lung, ovarian, endometrial, colorectal and now liver cancers. The project I participated in built on the work of this group and expanded the knowledge in this field. All of this work is meant to contribute to a larger area of research, helping to inform physicians so they may help their patients to better assess the quality of information on the Internet. What did you find out about the search patterns of patients with liver cancer and how does this fit into the results of the research group? JM: We are continuing to collect surveys from last summer but preliminary results indicate that a large number of patients with liver cancer use the Internet to search for cancer related information. Their search patterns appear consistent with research from Dr. Ingledew’s prior studies where 80-90% of patients (e.g. melanoma, lung and breast cancer) use the Internet to search for information about their cancers. Cancer patients commonly seek information on treatment, screening and prognosis. Although for many patients the information on the Internet is overwhelming and at times difficult to understand, patients find that it helps to inform their encounters with physicians and their treatment decision-making. What did you learn about the quality of information available to patients with cancer? JM: Not surprisingly there is a large variation in the quality of the information on the Internet. With respect to liver cancers, most websites (87-92%) contained information about treatment, risk factors, and symptoms, however only 30% provided information about prognosis and less than half described prevention. Additionally, less than half of websites cited their sources of information and only 28% identified who had written the material. Most concerning, only half of websites provided completely accurate treatment information and only 7% contained accurate prognosis values. These findings are consistent with Dr. Ingledew’s past research. 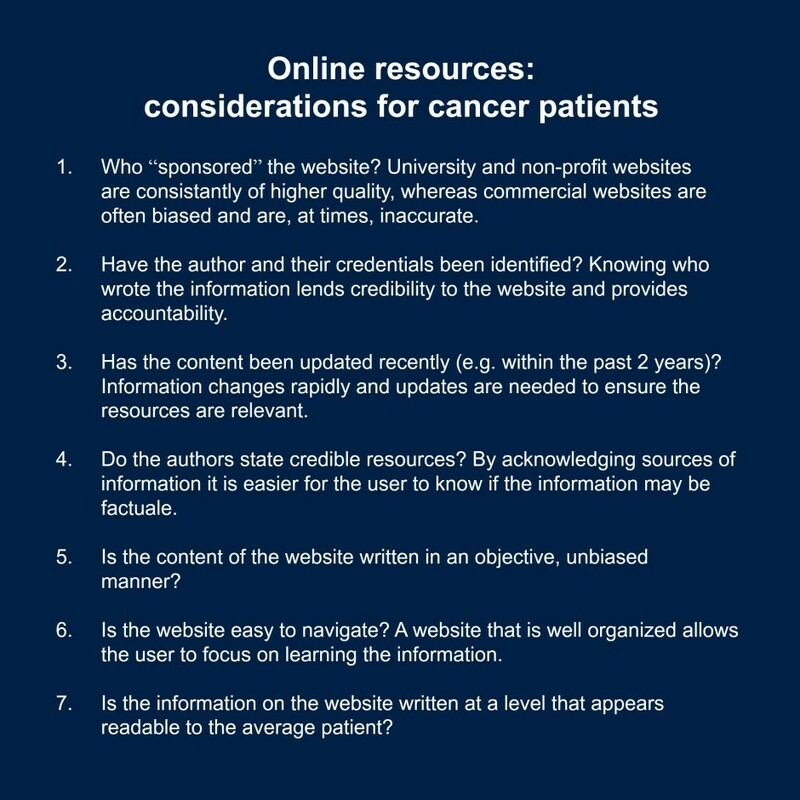 Across all the cancers their research group has examined thus far there have been consistent deficiencies in the quality of online resources. For many websites it is difficult to know whom wrote/authored the websites or what their area of expertise (or lack of it) is. As a result it is hard for patients to assess the “credibility” of the websites. A significant number of websites contain inaccurate information that may even conflict with advice given by their physicians. Additionally websites may not be comprehensive, and often lack information relevant to an individual’s prognosis or treatment. This is concerning as patients have noted this is the information they feel they need the most. Finally, the average reading level of many websites is high. As a result, some websites are written at a university level with considerable “medical jargon” making it difficult for the average patient to understand. 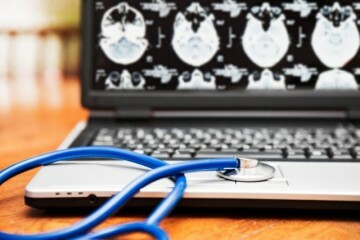 If the quality of websites is so variable how can physicians assist their patients? JM: Unlike some other health disciplines, there has been little attention paid to training physicians during medical school and residencies with respect best principles of patient education. Even more so, there is a lack of education given to physicians to aid them in the interpretation and translation of web-based information. The research I participated in, and lead by Dr. Ingledew’s group, is looking to inform ways that physicians can evaluate the quality of web-based patient information and interact with their patients with respect to these resources. Through the research, their group has developed a rating tool that can be used both physicians and patients to assess the qualities of web-based resources. While the tool is quite detailed, it helps to highlight some general areas that both patients and physicians can use to assess at quality of web-based resources. We hope that this information will ultimately help to empower patients and improve patient and physician interactions. As a final note, obviously, the best resource for obtaining information about any diagnosis or treatment is a physician. However, if patients do decide to research information online, having a critical eye for the resources is important. Physicians and patients can and should work together to learn how to assess resources better. What was the most important thing you took away from your research this past summer? JM: This summer research project was an exciting opportunity and exposed me to new areas of medicine, including oncology and medical education research. It reaffirmed to me that one can balance a clinical career and research, which are both equally helpful to patients. I hope to continue incorporating these skills into my training, as I believe research supports better understanding among clinicians and fosters new practices to improve the wellbeing of patients. This summer I will return to Dr. Ingledew’s group to complete some more analysis! 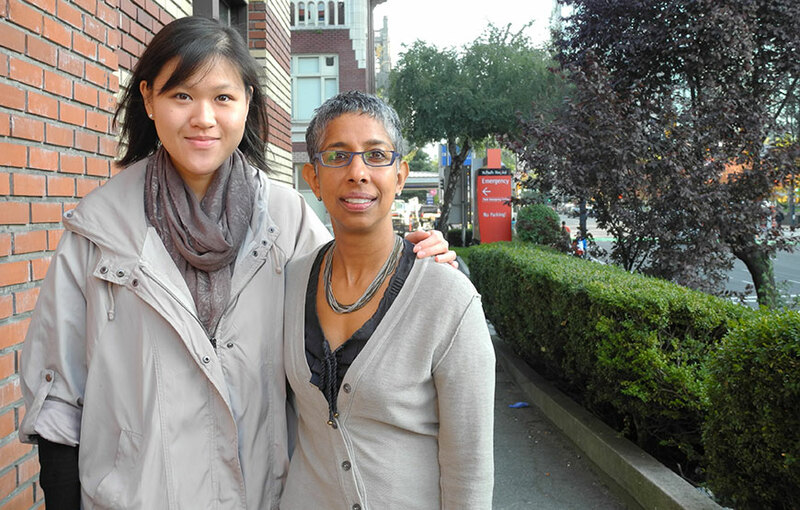 VFMP student, Adrienne Cheung and Dr. Anita Palepu stand outside St. Paul’s Hospital. The two worked together on a 2013 SSRP project where they investigated the effect on homelessness on health care use. Adrienne Cheung, Vancouver Fraser Medical Program Class of 2016, stands amid the hustle and bustle of St. Paul’s Hospital. She has just returned home from Toronto, after spending some time with her family. Cheung is waiting for Dr. Anita Palepu, a nationally renowned general internist. Dr. Palepu weaves her way through a group of people towards, Cheung. Her smile is absolutely infectious and the two cheerfully chat about their weekend. St. Paul’s is a busy hospital, serving a diverse population, which includes some of Vancouver’s neediest and most vulnerable citizens. The patient population here is representative of the individuals Cheung and Palepu observed during a research project they worked on last summer, where they explored the relationship between homelessness, substance dependence and health care. Dr. Palepu runs an accomplished urban health program and is particularly interested in vulnerable populations such as drug users, those infected with HIV, and the homeless. Cheung goes on to describe how it is primarily environmental and mental health issues that bring homeless individuals to the hospital and how understanding these factors can assist medical professionals in their approach to treatment. She emphasizes how participating in the project has allowed for a greater appreciation teamwork in an urban hospital environment. MC: Please briefly describe the SSR Project you were involved in? AC: We were interested in whether homeless adults with substance dependence were less likely than those without substance dependence to experience a reduction in health care utilization at 2 years follow-up in a supported housing program. We looked at results from the “Vancouver At Home Study”, a large, randomized controlled trial that assigned homeless adults with mental disorder to either a Housing First program or to treatment as usual (i.e. no intervention). Housing First is a low-barrier, supportive housing program that sets no preconditions such as abstinence from substance use or adherence to psychiatric medications in order to remain housed. This program has been associated with improved residential stability and reductions in hospital use in previous studies. Homeless adults with concurrent mental and substance use disorders face a number of challenges in managing their health. There is a general perception that these individuals tend to have a higher rate of health care use and continue to use services at a higher rate if substance use persists; however, we found no association between substance dependence and emergency department visits or hospitalizations in this study during the two-year follow-up period. MC: What, specifically, about the research topic interested you? What attracted my interest were the complex social factors that are involved in managing the health of this population. I was also interested in learning how scientific methods and designs would be applied in this setting. The At Home trial has a strong methodological design but the conduct of the study was complicated by many issues that are less likely to arise in clinical or basic science studies. For example, an important consideration was the follow-up of participants as they often lacked reliable contact information and may move between public and private housing, hospitals or institutions between follow-up periods. MC: What did you learn both (a) academically and (b) clinically? A valuable part of this project was learning how to analyze the data to answer our research question. With a wealth of data collected from the At Home trial, it was an exercise to determine which outcomes would best answer our research question and what variables could potentially affect those outcomes. What may be useful clinically is a slightly better understanding of the circumstances of those who are homeless or precariously housed. Through shadowing participant interviews, I heard fairly detailed accounts of experiences with finding stable housing and some of the important events that have had a lasting impression on individuals’ lives. Even after finding a place to live, one may face issues such as unhealthy living conditions, poor nutrition, lack of continuity of care and support, and the negative effect of these combined factors on mental health. MC: What did you learn to appreciate while participating in this project? Has this influenced your perspective on medicine and patient care? Shadowing participant interviews and reviewing the literature allowed me to gain an appreciation of the number of challenges faced by homeless adults with mental disorders. Health care is quite limited in what we can do when we see patients from this group. Physicians can help improve the physical and mental health of their patients but these are very connected to the environment in which the patient is living, their financial situation and numerous other social stressors that might be present. I can now better appreciate the importance of a multidisciplinary team including nurses, social workers, case managers and other specialists in longitudinal care for those with mental disorders. The medical curriculum at UBC includes a course called Doctor, Patient and Society which focuses on social aspects of medicine that are not covered in other courses. One block of this course focused on addiction medicine and invited guest speakers to share their experiences with us. Although I appreciated and learned from this component of the course, I felt that there was a great deal that could not be covered by the course alone. The research project I was involved in gave me a chance to look deeper into these issues and how addiction is tied to psychiatric care, public services and homelessness. MC: How do you feel involving students in your research influences your work? AP: The involvement of students in my research program enriches the experience of all of team members. The student often asks questions that force us to step back and reflect on our assumptions and often results in more clarity. The team enjoyed explaining their roles and responsibilities and included Adrienne in interviewer training and shadowing participant interviews as well. Developing the understanding of people’s context is critical to working with vulnerable groups both clinically and in a research setting. Finally, mentoring in research is an important and critical ingredient to develop the next generation of clinician scientists. Thank you to Adrienne and Dr. Palepu for taking the time to share their work and findings with the VFMP community! After stroke there are changes in arm and leg coordination as well as increased muscle activity and spasticity in some muscles, which cause problems during walking. Because of this, many stroke survivors have flexed postures of one arm and one leg that often scuffs the floor when walking. Drugs can be taken to reduce too much muscle activation, but these same drugs also make people very tired and weak. Interventions that can reduce excessive muscle activity in overactive muscles and increase muscle activity in underactive muscles include rhythmic arm and leg training such as on an exercise machine. I was interested in working on this project because I have always been fascinated by neuroscience and rehabilitation. 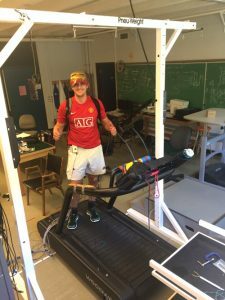 This project was a great way to learn more about the basic science involved in rehabilitation while gaining some much needed research experience. What’s one thing that surprised you about the research? I was most surprised that I would actually enjoy research. I had always looked at research as a tedious process that can be overwhelming at times. My experience in the lab this summer, and specifically being involved in the scientific process, made me realize how valuable research is to my learning. Asking and answering research questions through raw data collection and analysis showed me how research can really consolidate my knowledge in a field of interest. How will this research experience help you in your future medical studies? This research experience has opened up a new area of learning for me. It also helped me realize how interesting research can be when you are passionate about what you study. I plan to further my research experience in the future regarding physical rehabilitation, either in my career or my residency, as this opportunity has reinforced my passion in this field of study. What’s the most important thing you’ve learned from your project? How has it influenced your perspective on medicine and patient care? The most important thing I learned from this project is that I am capable of doing research on my own. I realized how much teamwork is involved in the lab and in the scientific community as a whole. You truly are never on your own when conducting research. This experience has influenced my perspective on medicine and patient care by showing me how much work goes into evidence-based treatment. It is simple to follow evidence-based guidelines without thinking how much work has gone into the development of those guidelines. I’ve also learned that, in research, almost nothing is 100% black and white. This is important to understand when considering patient variability while following evidence-based guidelines in medicine. The SSRP was a great chance for me to become fully immersed in research. I really enjoyed working in the Neuroscience Rehabilitation Lab at UVic this summer. My colleagues and my supervisor, Dr. Zehr, made this experience even more enjoyable. I would strongly recommend this program to any students looking to gain research experience during the short summer period. 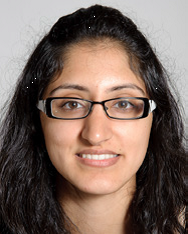 Kirandeep Kaur Kandola, Vancouver Fraser Medical Program Class of 2017, discusses her 2014 SSRP project, which examined diabetes in Vancouver’s South Asian community. Please briefly describe the SSRP project you were involved in. 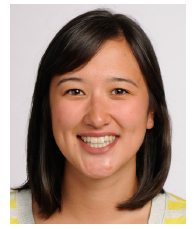 KK: I had the opportunity to be a member of the Prevention Matters research team under Dr. Tricia Tang this past summer. The overarching goals of this project were to identify facilitators and barriers to lifestyle change for diabetes prevention in Vancouver’s South Asian community and to increase community and research capacity for conducting current and future diabetes prevention initiative in this community. The aim of the projects that I participated in was to gain an accurate assessment of current lifestyle behaviours (particularly physical activity and dietary practices) across the diabetes risk continuum in the South Asian community. I had the opportunity to participate in diabetes risk screening sessions across various temples in the Lower Mainland, and my duties consisted of assisting with risk assessments and completing subject interviews. In order to gain a more in-depth understanding of physical activity and dietary patterns within the South Asian community, I also conducted one-on-one interviews with randomly selected participants from our screening sessions. This task involved participant recruitment, gaining informed consent, administration of South Asian specific food frequency questionnaire, fitting participants with an accelerometer device to measure physical activity levels, and then a follow-up visit 7 days later to collect the device and discuss rough estimates of exercise levels with participants. In addition, I had an interest in examining the dietary practices of the this population and the relationship with time since immigration to Canada, so with the help of my supervisor, we utilized a software program to analyze the data collected over the screening sessions. What, specfically, about the research topic interested you? KK: I am interested in pursuing a career as a family physician in my home community, where there is substantially large South Asian population that is continuing to grow each month. Individuals of this background are at an increased risk of developing diabetes and related macrovascular complications than their Canadian counterparts. Knowing that diet and physical activity are modifiable risk factors for this condition, I wanted to learn firsthand about the lifestyle patterns within in this community so that I could develop a baseline understanding from where I could begin to perceive which necessary changes could be implemented and how. A family physician has many roles to fulfill in service to their patients, with one important task being working with individuals with the goal of prevention of development and/or further progression of disease. I saw this as an opportunity to begin working with members that may be representative of my future patients and to learn how I could play a role in maintaining their health. KK: My previous experience in research was limited to conducting studies and data entry, which meant I learned very little about the final outcomes of those studies. This project allowed me the opportunity to work from the point of conducting a literature review to generate an idea about what I wished to investigate through to collection and, finally, analysis of data in the context of my hypothesis. I was able to learn about research related to the dietary patterns of South Asian immigrants in other parts of the world, and then compare this to patterns observed in our sampled population. In addition, I was able to learn about how time since immigration can play a role in dietary choices. Education is a significant aspect of a therapeutic alliance between physicians and patients that cannot be overlooked. This project reinforced the importance of having discussions regarding modifiable lifestyle factors (such as diet and physical activity) with patients, keeping in mind cultural preferences. I feel that this experience will contribute to my future conversations with patients of South Asian origin, particularly those that have immigrated more recently, as I’ve developed a bit of an understanding of which types of food groups they may be more likely to choose, and, thus, can provide them with information regarding healthier options within their preferred food items. What did you learn to appreciate while participating in this project? Has this influenced your perspective on medicine and patient care? KK: Participating in this project made me more appreciative of the role that research plays in supporting healthcare providers in their clinical decision. This opportunity allowed me to have lengthy discussions regarding diet with individuals at risk of diabetes and to learn in-depth about patterns specifically within the South Asian community. As a result, I feel more strongly about the need to have detailed discussions regarding changes to diet, especially in relation to culturally-specific items, in pre-diabetic patients and feel that my experiences over the summer will be helpful in this regard. KK: Having the opportunity to work directly with participants and to hear about their viewpoint on how they perceive their lifestyle decisions provided an important lesson on the importance of understanding culturally specific lifestyle decisions. I hope to play a key role in maintaining good health and preventing disease & complications in a similar patient population in a few years, so I appreciated the opportunity to be exposed to this scenario at an early point in my training. In addition, I was previously quite inexperienced with conducting data analysis and this project allowed me to better understand the process required to generate evidence that is utilized to create recommendations and guidelines for healthcare workers. Sarah Baldwin, a student in the Vancouver Fraser Medical Program, discusses her 2014 SSRP project, which examined skin cancer prevention in organ transplant recipients. Describe FoM SSRP you were involved in? SB: While skin cancers comprise nearly 40% of malignancies in organ transplant recipients – with nearly 70% of fair-skinned recipients affected within 20 years of transplant – there is currently no formal system for dermatologic screening of transplant patients in Canada. This results in patients who are uneducated about skin cancer prevention, who are diagnosed later in the disease progression, who have poorer prognoses, and who generate higher health costs from extra doctor visits and medications. In this study data was collected from a new skin cancer screening clinic (SCREEN Clinic) for post-transplant patients at St. Paul’s Hospital. The SCREEN Clinic is the one of the first of its kind in BCCanada and its mandate is to address the unmet dermatologic screening needs of the post-transplant population. A 12-month retrospective chart review was conducted and comprised of SCREEN Clinic patients from both the kidney and heart transplant programs. The primary objective was to compile and analyze data from post-transplant patients with regard to demographics, overall skin cancer risk, risk factors as well as types of cancers and their incidence. The data was also analyzed to develop specific patient profiles and identify potential targets for intervention. What, specifically, about the research topic interests you? SB: My goal is a career in academic dermatology; this research topic was a wonderful opportunity to learn not only about clinical dermatology and transplant medicine but also about numerous aspects of clinical research including study design, implementation, data analysis and manuscript editing and production. The prospect of improving skin cancer risk through preventive education of patients and healthcare professionals is both exciting and compelling to me. Being part of the SCREEN Clinic research team presented an opportunity to make a real difference to patients with serious health conditions that are often under-diagnosed and under-treated. SB: I found working at the clinic to be both an immensely rewarding and interesting experience. Not only was I fortunate enough to have an inspiring mentor who taught me a lot about dermatology and the workings of the hospital, but I also saw the impact committed and passionate professionals can have in the lives of their patients. Since starting this project, I am even more committed to the concept of preventative medicine and hope to be involved in similar projects in future. Additionally, as part of the project I participated in an interdisciplinary conference that was funded by a grant awarded from a nation-wide competition for altruistic, patient-centered research. Participating in this conference aimed at educating health care professionals (doctors, pharmacists, nurses) about skin cancer in the post-transplant population taught me the value of interdisciplinary care – a vital aspect of modern health care. What is the plan for your research, going forward? SB: Since working on this project, my mentor (Dr. Sheila Au) and I have started ongoing quality assurance projects in an effort to “fine-tune” and improve the SCREEN Clinic program. These efforts include a review of biopsy accuracy to determine diagnostic accuracy, and a patient satisfaction and knowledge survey to help guide decision-making and quality of care. In the summer of 2012, Colin Lundeen, Island Medical Program Class of 2015, spent two months working on a project with Dr. Gary Steinhoff of Pacific Urologic Research, investigating the safety and efficacy of a new drug in the treatment of non-muscle invasive bladder cancer. This ongoing clinical trial involves patients with bladder cancer who failed Bacillus Calmette Guerin (BCG) treatment. BCG is a live, diluted form of Mycobacterium bovis, better known for being used as a tuberculosis vaccine and which is now the most commonly used intravesical treatment for non-muscle invasive bladder cancer. Colin’s role during the summer was to work with patients, taking focused histories and vital signs along with assisting in the administration of the study drug. He would meet with patients once per week during their induction phase and monthly thereafter, answering their questions and ensuring that all necessary paperwork was filled out and filed. He also had the opportunity to perform chart reviews to determine patient eligibility for the clinical trial. Colin had three reasons for wanting to take part in this project: to gain exposure to a surgical field of medicine; to develop an understanding of clinical research and to engage in patient-based research. One important thing he learned from his experience was how detailed and lengthy the clinical trial process can be. Colin gained a better understanding about why drugs take so long to be approved for the market and why drug costs are so high. When asked how his experience with the project might help in his medical studies and future career in medicine, Colin replied “I had many interactions with patients as well as time to look up medical information I was unsure of. The experience satisfied all three of my goals and helped prepare me for future clinical practice”. 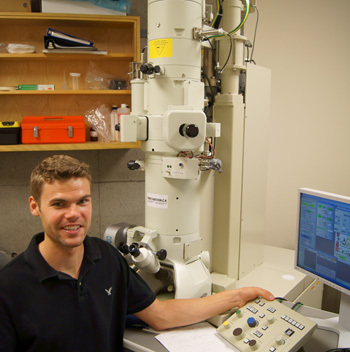 Ryan Heron spent the summer researching the effects of a nutritional supplement – omega-3 fatty acids – on the growth of neurites. In the summer of 2014, SSRP participant Ryan Heron, Island Medical Program Class of 2017, had the opportunity to work with supervisors Dr. Brian Christie, Affiliate Professor, and Dr. Patrick Nahirney, Affiliate Assistant Professor, Department of Cellular & Physiological Sciences, to study the effects of a nutritional supplement—omega-3 fatty acids—on the growth of neurites, the cellular projections that become axons and dendrites in mature neurons. Although many people take omega-3 supplements and the benefits of these fatty acids on brain health are highly publicized, how they exert their effects at the cellular level is poorly understood. From study design to data analysis, he was largely responsible for all aspects of this project and gained the skills necessary to perform the investigations, including learning microscopy techniques, image processing, and cell culture methods. In addition to connecting basic research to clinical care, this project allowed him to continue building practical laboratory skills that are not part of the regular medical curriculum—skills that may open doors to a wide range of future research opportunities. Although the effects of omega-3s on neuron growth were not found to be statistically significant in Ryan’s study, the knowledge he gained stimulated his interest in essential nutrients, which may prove highly important in educating patients about healthy eating. The cell culture components of the project also gave him a new respect for bacteria and the importance of practicing sterile techniques. He believes this awareness will prove especially valuable in future experiences in surgery.